Have you ever wondered if a vegan diet would help you manage your weight and resolve any nagging health problems? That’s the promise that is often made around this trend. I’m here to dispel the myth that veganism is the healthiest diet and works for everyone. Most of you know me as creator of the Clean Eating Kitchen website. Today, I wanted to share my thoughts on potential health issues that can result from a vegan diet. I have a masters in public health nutrition, but I’m also a woman on a healing journey, looking to find more natural and holistic ways to feel better and recover from health issues resulting from decades of eating a Standard America Diet (you can read more about me here). Back in 2010, I had a friend who had gone on a vegan diet because she no longer wanted to eat animals (usually referred to as an ethical vegan). This was my first exposure to a vegan diet. I then saw Oprah interview Alicia Silverstone about her book The Kind Diet and was even more curious about the purported health benefits of going vegan. I got a copy of the book and was smitten with the idea that cutting out animal foods could potentially fix all the health problems that I was having, especially the inability to manage my weight that I learned years later was a result of undiagnosed thyroid disease. What is a vegan diet? Simple put, it’s one that excludes any food that comes from an animal. This includes eggs, dairy, meat, fish, poultry, and even honey. A vegan diet is often known as a plant-based diet. Some people take a vegan diet even further and embrace it as a lifestyle, and will not purchase or use any clothing or personal care products that include animal-based ingredients. If a vegan diet does not include any animal products, then what does it include? Vegans eat vegetables, fruits, whole grains, soy, legumes (beans), nuts, and seeds. A vegan diet doesn’t necessarily means it’s healthy, though, since it by definition does not exclude a lot of processed foods, sugar, or gluten. A whole foods, plant-based diet is more often the term used for an approach that includes fewer processed foods, and a greater emphasis on fruits, vegetables, legumes, grains, nuts, and seeds. Although some people may thrive on a vegan or plant-based diet, it should be noted that it is considered an extreme diet because of how many foods it excludes, as well as the potential for nutritional deficiencies. 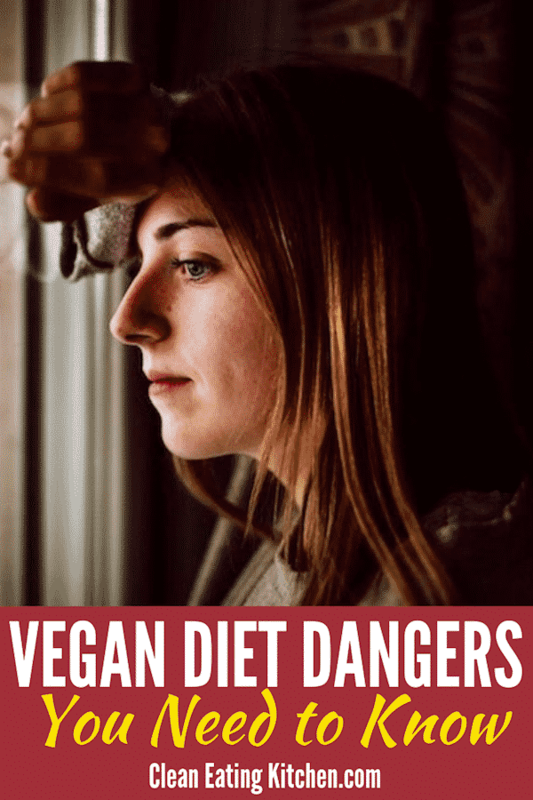 This article includes eight real problems that can result from a vegan diet, including my experience as a woman whose health declined as a result of being on a strict vegan diet. Please note, my intent with this article is not to discredit any of the benefits that can result from eating more plant foods, but to provide cautionary evidence of what can happen if a vegan diet is taken too far and warning signs are ignored. Since a vegan diet excludes all forms of animal protein including meat, fish, eggs, and dairy, people following a vegan diet often turn to legumes as a plant-based protein source. Legumes have high levels of antinutrients including lectins and phytates, both of which can increase intestinal permeability, also called leaky gut (1). Again, as a result of excluding all forms of animal protein, vegans turn to soy as a protein source. While unprocessed forms of soy may be okay for some people, processed forms of soy are commonly found in a vegan diet, including tofu, soy milk, and soy-based processed foods sold as meat substitutes. Processed soy foods are no better for human health than any other highly-processed foods, but with the added risk of hormone interference due to phytoestrogens found in all forms of soy. Iron-deficient anemia is the most common nutritional deficiency in the world, and both vegans and vegetarians are at higher risk of this condition (3). While plant foods contain a form of iron, it is called non-heme iron and it is much less absorbable by the body. Iron-deficient anemia can lead to serious symptoms including fatigue, and women of child-bearing age should be aware of how a vegan or vegetarian diet can quickly lead to anemia. While iron supplements can be taken to help reverse or prevent anemia, most women dislike taking iron supplements because of negative side effects. The simple solution is to consume heme-based iron from red meat sources (always choose organic and grass-fed sources; I buy my meats from US Wellness Meats). 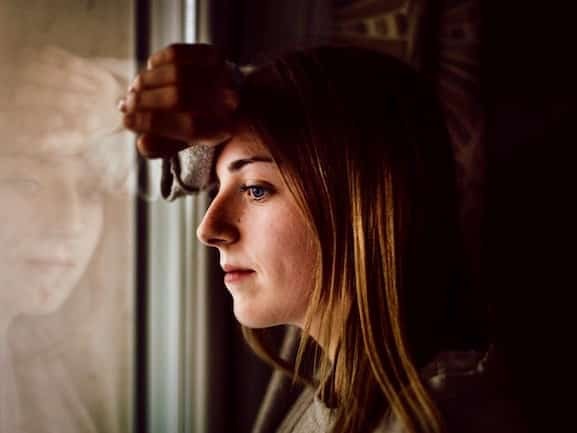 Without a food source of omega-3 fatty acids from fish or fish oils and an increased consumption of omega-6 fatty acid from foods like nuts, vegans might be at higher risk from depression. At least one study showed this to be the case (3). Algae-based sources of omega-3 fatty acids are an option, but they can be expensive and hard to find. And, since many vegan diets may include a higher than average intake of nuts, the balance of fatty acids in the body can still get off-balance. Since vitamin B12 is only available in animal foods, vegans are at a much higher risk of developing a deficiency in this vital nutrient (4). In fact, most nutrition professionals agree that those on a vegan or vegetarian diet must supplement with a high-quality vitamin B12 supplement to avoid irreversible health conditions that can result from deficiency. It should also be noted that many people have a genetic variation known as MTHFR that can impact how B vitamins are absorbed. In this case, even certain B vitamin supplementation might not be enough to prevent a deficiency. Similarly to vitamin B12, vegan and vegetarian diets can result in low zinc status. It is theorized that the problem in this case is that higher consumption of plant foods containing phytic acid may inhibit the ability of the body to absorb zinc (5). Because of this potential issue with zinc absorption, it is often recommended by nutrition professionals that vegans and vegetarians should increase their intake of zinc up to 50% of the recommended daily allowance to ensure adequate levels. 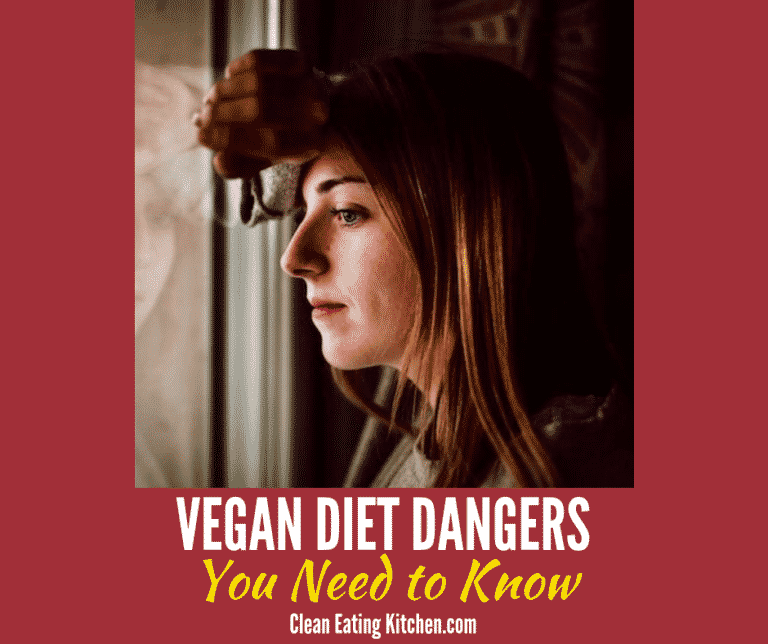 Vegan diets are generally lower in protein and can cause blood sugar swings in certain individuals. There is also the risk of over-consuming carbohydrates on a vegan diet, especially since legumes are often consumed as a protein source. Over-consuming carbohydrates can lead to non-alchoholic fatty liver disease, blood sugar disregulation, and other troublesome symptoms. Eating a diet that includes moderate to higher levels of protein has been shown to have a positive effect on satiety and weight management. Orthorexia is a type of eating disorder that is defined by an over-fixation on healthy eating patterns. It can result in over-restriction, obsession, and other serious eating disorders. At least one study found that vegans and vegetarians tended to display more orthorexic eating patterns, and most eating disorder specialists do not recommend restrictive diets such as veganism or vegetarianism for people trying to recover from an eating disorder such as orthorexia (7). The first year on a vegan diet was okay. I had a hard time giving up some of my favorite foods, especially dairy yogurt and eggs. I didn’t lose any weight going vegan, but I had reduced acne outbreaks once I stopped eating dairy (I am still dairy-free). About one year into my vegan diet experiment, I started experiencing an outbreak of hives after eating. The hives were intense. One morning my eyelid was swollen shut. I thought perhaps gluten might be the issue, so I also then cut out gluten. Around that time, I also came across a more extreme version of veganism, one that cuts out all oils, processed foods, refined carbs, and sugar. I thought maybe, just maybe, that I had found the answer to losing weight and feeling good. 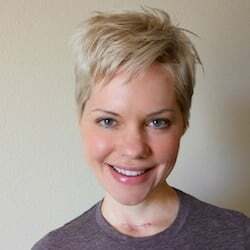 One thing led to another and I was eventually diagnosed with thyroid cancer in 2012. My world came crashing down. At the time, I had been following this extreme form of veganism for almost two years and thought I was supposed to be protected from such a terrible diagnosis. I continued on the vegan path even after my diagnosis and treatment, thinking if I just tried harder or got more restrictive, then I would be healthy. My diet got more and more restricted and I felt an eating disorder mindset start to consume me. I was always hungry, yet I wouldn’t allow myself to eat the foods that would nourish and heal me. Finally, after careful thought and lots of fretting, I decided to stop being vegan. I wrote a blog post about not being vegan anymore and lost a lot of friends over my decision (that blog post has over 500 comments on it). Once I was immersed into the vegan culture, it made it that much more difficult to mentally make that mental shift of eating meat again. I experienced bullying and shaming when I wrote publicly about my decision. Ultimately, I consulted with a dietitian, an eating disorder specialist, and functional medicine practitioners to recover my health and a balanced relationship with food. Certainly, not everyone has a negative experience on a vegan diet. There are plenty of people who would benefit great from adopting certain aspects of veganism, including incorporating more vegetables into the diet, and understanding the importance of not purchasing or consuming factory-raised meat. I eat a lot of vegan foods and still create a lot of vegan recipes, especially since I’m gluten-free and dairy-free to manage my autoimmune-related inflammation. I try to eat a variety of plant foods, while including animal protein with every meal. This is what works for me! I don’t think there is a one-size-fits-all diet, I really don’t. The bottom line is that it’s important to be aware of the risks of extreme diets and any quick-fix approach to health. Based on my experience and exposure to the scientific literature on nutrition, a balanced diet including varying ratios of all of the macronutrients, will most often provide long-term benefits and a reduction of risk of nutritional deficiencies. Key TJ, Appleby PN, Rosell MS. Health effects of vegetarian and vegan diets. Proc Nutr Soc. 2006 Feb;65(1):35-41. Review. PubMed PMID: 16441942. Why You Should Eat Meat by Chris Kresser. Thanks for sharing your experiences on a vegan diet. I’d like to ad another possible down side to a vegan diet – Increased tooth decay. I never had cavity problems until I started eating vegan. Now that I have started eating more balanced, I hope my dental problems are resolved. Thanks for sharing your experience, Erin, and I hope your dental health improves as well. I relied so heavily on sugary fruits when I was vegan, and my blood sugar just feels so much more stabilized now. Best of luck!!! Tooth decay is due to citrus foods like apples, oranges, lemon water, etc, not veggies. I have not eaten red meat since I was teen. Over the years I have been vegetarian leaning vegan. I was veg/vegan but have been told that my Hashimoto’s, low function thyroid & IBS have been caused by my diet. It has been a tough pill to swallow. I have struggled with having to give up the diet I like for one I haven’t for years. But my health is at stake. I recently began to add fish & eggs. It has only been 2 weeks so I am not seeing much change. I pray that by adding fish & other healthy fats & limit grains & beans I will regain my health. Sending much love and hope, Paula. I am really hoping that you start feeling better soon, I’m sure you’ve been through so much. XO. Wonderful, informative article Carrie! My experience caused me ill health after 3 years of a vegan diet. My hormones became way out of balance throwing me into and estrogen dominance situation, cholesterol regulates hormones (several obgyn’s couldn’t figure out what was going on with me and suggested the pill and/or anti-depressants) : / It was paralyzing and just terrible! I craved eggs and chicken and one day the craving was so intense I went to my local market and bought a rotisserie chicken and a dozen eggs! It took a month or so to re-balance completely. Two years later and I am doing very well on a vegetarian diet. I don’t look at it as a failure just meeting my body where it is, tuning into it’s needs and providing it with the required nutrients for optimal health : ) Love your blog! Thanks for sharing that, Jean. Your experience sounds a lot like mine. I’m so happy to know you are doing better. XO. I thank God I got your post! I have been vegan since January 1 and I have started getting hives. It’s been about a week now and my eyes are very dry and hard to open in the morning. The hives are on my face and neck as well and makeup doesn’t hide it . Could you give me the first step to take at home to remedy this? I’ll do what I have to do but, like you, I don’t want to ever eat animal anything. I am 57 years old and post-menopause. Thank you so much. I’m so sorry to hear that, Linda. Getting hives was a reaction I had, too. I started taking a high-dose probiotic to heal my gut from all the beans and foods that didn’t agree with me, and slowly I recovered. You might Google “gut healing protocol” to find more info. Bone broth is traditionally known to help with gut healing, too. Sending my very best. I have come across your post while doing some research on not eating meat and fertility. I was a vegan for about eights years and for the past four year I have included fish back into my diet and for the past year I have reintroduced eggs. I have been having really strong cravings for red meat lately and have considered eating it again. I am curious to know if there is any relation to non consumption of meat and infertility. I also must mention I am an O positive blood type (thrives on meat and animal protein) Any tips or articles to check out? Thanks. I’d also recommend checking your omega-3 status, iron status (ferritin level), vitamin D, and B vitamins (homocysteine). I am of the mindset that if your body is craving something, then it’s important to listen. I came across your article in search for insight on healthy eating habits. I’m so frustrated as doctors haven’t been of much help, being told that exercise & dieting is the solution but no details or assistance. Then diagnosed with Fibromyalgia, Hyperthyroidism, PCOS… It’s been rather stressful. Once again told diet & exercise then added a few things to avoid, like sugars & starches but of course no indepth information on what or how or even why really… I was told to consume mostly protein & dairy then I read that isn’t the best for PCOS, etc. It’s all confusing. Let’s just say I’m at my wits end about it. I’m looking into a book Medical Medium as soon as it’s delivered. Thank you for sharing your story & information. Hi Crystal, thanks for sharing some of your story. I understand your frustration because I’ve been there too. I have had both PCOS and thyroid disease. The best book I’ve found to help manage my PCOS and other issues is The Period Repair Manual by Dr. Lara Briden (the 2nd edition). She does give some diet advice, but also supplement info. It’s an AMAZING book, I wish I had read it years ago. She recommends lean protein, complex carbs (like sweet potatoes) and no dairy or gluten. Let me know if I can share any other resources. I want you to feel better!!! Hi I read your article with great intetest. I used to be a vegan years ago but it did not agree with me and I am happy to eat non processed organic meats and chicken and fish with little or no mercury and sustainably caught. Tons of vegatables, little animal protein per meal. medisynx.com and read her scientific theory behind it. Her name is dr Anne Marge Vink, she answers all questions by email herself. All proceeds from her practice go into research and you can have the blood sent from anywhere. It has saved my life from misery and an eternal quest for answers. I have found it. There are no visits necessary after your initial test results. Stick to avoiding what your body cannot process and eliminate and your health will come back. She deals with everything from MS, Parkinsons to Artheritis and thyroud problems. I just would like for peolle to know about her because it would do really every body good to know what they should avoid eating. Goid luck if you have any problem do yourself a favor and just have a look at it. Very thankful I came across your website Carrie, and the opportunity to make some comments. I have been eating a whole food plant based diet for 10 months, excluding all dairy, meat, fish and oils. I started this as I had a heart scare a few years ago and resisted taking cholesterol lowering medication. At a check-up last year, I was advised – yet again – to begin a statin, and this time I did my research and decided to embark on this new way of eating, based around the book “Prevent and Reverse Heart Disease” and the teachings of the whole food plant based movement in America. I lost weight on this regimen and recently came off my blood pressure medication after 18 years (under the supervision of my doctor). I certainly felt better and it was great to get down to a healthy weight. I made sure I had regular blood tests and took a B12 supplement regularly. However over the past few months, I felt my energy levels were not as good as they should be, and I developed a hive-like rash under my arms which nearly drove me crazy! I put this down to drinking quite a lot of soy milk. I then had this awful sensation in my mouth and my gums, with my lips splitting and feeling like my tongue and lips were about to “pop”. I had a raft of blood tests (which were all normal), but my doctor suggested a vitamin B and C deficiency. Again I did my research and indeed, this seemed to be the case. I have been on supplementation for the past few days and the symptoms are easing. I am seriously considering how this way of eating has impacted my health, and at nearly 70, I cannot afford to mess it up! I felt I had been extremely well informed, conscientious and diligent in eating a balanced vegan-based diet, but it has been a very challenging, socially isolating and lonely journey so I feel a bit disappointed. Thanks again for any advice and support. Hi Judy, thank you for your note and I’m sorry to hear you’ve had issues. I would suggest working with a functional medicine practitioner who can help you identify food sensitivities. I learned that I am sensitive to soy and most legumes, so a vegan diet was out for me. I have since moved to continuing to eat a lot of plants, but adding in animal protein to have a more balanced diet. Don’t let anyone scare you. Humans evolved eating animal protein and for some people, that’s what we need to feel good. I can’t eat eggs, but I have no reaction to poultry, fish, or beef. Also, social isolation is real thing and will negatively impact your health. Does this help at all? I’m not a doctor, but I am sending empathy for what you’re going through. Thanks Carrie for your quick and helpful response. I don’t seem to have sensitivities to any other foods, just the soy milk – if that indeed was what it was – as the problem resolved after stopping it. I did get a bit scared by the literature and websites into doing such a strict regimen, but am working through that and now know that nothing terrible is going to happen to me if I relax and enjoy eating what makes me and my body happy. Will still continue to eat lots of plant based foods but will slowly add in some animal products. I’ve been vegetarian for 10 years. 98 percent of the time it was a vegan diet, I only consume milk chocolate around Halloween and Christmas, and I let honey slip past me two times by not paying attention to the bread ingredients. I don’t claim to be a nutritionist or doctor, but I’ve probably studied the vegan diet benefits and dangers more than most doctors and nutritionists out there. I have not had any issues abstaining from animal products, on the contrary I’ve had better cognitive clarity ever since. One thing that I must say is vital if you tend to eat a lot of junk food like me (potato chips, corn chips, faux meats, vegan ice cream, etc.) is to make sure you take vegan B12, Omega3, and D3 supplements. But, I do not endorse the vegan junk food route. Despite me being 40 years old and everyone usually guessing by my looks that I’m 26-32 years old, I believe this is genetics and not food related. I typically encourage people to eat all the green plants in the produce department as the majority of their intake 2/3rd, and then try to have the remaining 1/3rd all the colors of the rainbow from the other produce like carrots, beets, apples, oranges, radishes, blueberries, etc. Ok, so back to the majority excuse of not getting enough protein. Animals get their protein from plants, typically they are fed grass, corn, and grains. The protein in the grass, corn, and grains are called essential proteins, meaning they are essential for an animal including humans to repair, maintain, and produce healthy cells for their body to function at peak performance. Once an animal uses these essential proteins they become non-essential proteins. Humans already have non-essential proteins in their body and require a constant intake of essential proteins in order to be healthy. Eating animal meat will only give you non-essential proteins that will take up space where you could have had essential proteins doing the job more efficiently and safely. Your body also wastes a lot of its own energy breaking down animal proteins which can make you lose stamina and feel lethargic. The top protein on earth is spirulina, it absorbs into the digestive system faster and easier than any other protein known. And it does this at an efficiency of 80 percent, as opposed to animal meat protein that absorbs at approximately 20 percent efficiency. Meaning 1 little scoop of spirulina powder in a healthy meal or smoothie is more usable protein than a 1 pound steak. And spirulina won’t put your colon at risk for cancer. But, yes spirulina is weird tasting and makes soup or vegan chilli an unappealing dark green, just give it a chance for a couple months and you’ll start to get used to it and notice a positive change. Just don’t over consume protein, you can hurt yourself by consuming too much protein. It’s called protein poisoning, and usually meat eaters get it from only consuming meat, but you can probably get it from too much spirulina as well. The key is moderation of your protein intake. Someone previously in this post mentioned soy and legumes being a problem. I’ve heard this quiet often and believe it to be true. Regardless of me personally not having any issues from eating soy and legumes, my mom has a thyroid problem and she cannot have soy as a result. I’m not sure why this occurs, could be genetic, previous diet choices, or simply allergies. There are some people that are allergic to water; everyone reacts differently. Just keep in mind there are always more choices than what you think. I haven’t had soy milk for years because there are better vegan milks available now (almond, cashew, coconut, and flax milk). Cashew milk is nice and creamy, but my new favorite is flax milk because of the natural Omega-3 in the flax. Omega3 is really good for your brain. But these milks are a luxury, you really are better off drinking water and/or veggie and fruit smoothies with no added sugars. There is a new study that just came out (mentioned in Netflix documentary “What the Health”) that says diabetes type2 is a result of eating animal products, mainly from the fats. And it seems like switching to a plant diet of mostly healthy foods like broccoli, green beans, and other great veggies shows to reverse and get rid of diabetes type2 where the individual can eat sugar again without having a problem or needing diabetic medications anymore. I do find the blood test Doctor (Dr. Anne Marge Vink) mentioned in this post interesting. I will definitely check it out because the concept of everyone reacting different due to their chemistry, is absolutely true. But to this day, no human has been discovered that does better eating non-essential protein compared to eating essential protein. As far as I know, only cats require animal meat or else they go blind. Kinda weird and I haven’t fully researched this phenomenon yet to see what the chemical reaction is and why it’s required. An excellent read, thank you for publishing this useful information and all the fascinating references. p.s. The friends you lost in the process of abandoning veganism weren’t real friends… judgemental acquaintances might be more appropriate description. Very good article, thanks. It is interesting that all of our bodies are so different. In two weeks I will be one year into a whole food plant protein based diet. I refrain from using the word “vegan” which implies my diet is about targeting food for avoidance. Instead, it is about food I’m targeting every day which is basically Dr. Greger’s daily dozen check list. I made this change due to high cholesterol and blood pressure and came across the documentary “Forks over Knives.” I have had two biometric blood tests completed since the change with the first one being really good and the last one 3 months ago being exceptional. My cholesterol numbers are amazing, cardiac risk is now >. 05, and my blood pressure is normal. Overall, my health has improved with no more digestive problems or acid reflux. I have had zero painful inflammatory flare ups from the degenerated disc in my neck which normally occurred 3 or 4 times a year. I can’t say I have super powers, an unlimited supply of energy or an improved brilliant mind but overall I do feel better and my biometric numbers are like night and day. I’m glad you were able to get things figured out and were able to get yourself healthy again. Thanks for sharing that, Marty, and best wishes for continued good health! Dairy is the worst food, specifically dairy proteins. So many foods hide dairy proteins. Second to dairy are, lentils/legumes, gluten (in large amounts) and citrus foods. Any foods with high fiber is also not good for you. And of course any “healthy” processed is bad for you. 1 can tuna or sardine & rice for dinner. Because I did not consume any dairy proteins, I had no issues whatsoever. No aches/pains, cancerous growths, no cholesterol, sugar or blood pressures issues. I was lean, strong and alert. Dairy, gluten and lentils/legumes cause leaky gut! I also tried vegan diet for 3 weeks and noticed my health did declined a bit. On the 2nd week, I developed a slight lump or sore (according to my doctor) at the bottom of my throat which scared me. It hurt when I swallowed (so glad it wasn’t cancerous). Felt like a small gumball was stuck in my throat. It went away when I stopped eating cabbage, which I ate daily. It was hard to eat 3 vegan meals/day so I tried Intermittent Fasting, but adding 2 or 3 eggs for protein/calories. No blood was spilled right? Sometimes my chickens would eat her own eggs too (they knew it was unfertilized). So 2 eggs/veggies for breakfast and just veggies or gluten-free pasta/spaghetti & rice for dinner. Went well. My body fat dropped and I looked leaner. Thanks for sharing that, AK. I’m so happy you are doing better and that the lump in your throat went away. Great article. I’d like to add something though about the B12 deficiency. Due to mineral depletion in the soil…all people could benefit from a daily B12 supplement. It’s not just a vegetarian/vegan problem anymore. Animals (that people eat) get their B12 from grass, or grains that are grown in the soil. Due to poor soil conditions from over farming or environmental issues, B12 levels in grass and grains is lower than it was even just 50 years ago. That being said, I’m a Vegetarian. I was Vegan for 15 years. I had many health benefits and no health problems from the diet. I had Hashimotos before going vegan and the only time I got off medication is when I went FULLY RAW with a high focus on fruit. I went from 3 pills a day to none in a period of 60 days. My doctor was amazed. Unfortunately it was a diet I just couldn’t maintain because I love cooked food. LOL I did however prove to myself that it is possible to get off of Thyroid medications. I just got off the “vegan” wagon about 2 months ago. I’m fighting to find a balance. I’ve gained weight, and am feeling like crap. My allergies are back and my asthma came back with a vengeance. I do not consume any dairy. It’s going to be a fight I’m afraid but I will find balance. I’m enjoying food for a change. Mentally I’m in a better place…physically…not so much. Time will tell.